The United States Department of Justice made a holiday season gift to online poker players in America just a couple of days before Christmas in late 2011. That is when they reversed their age-old stance regarding Internet poker, allowing each individual state in the US to decide their own destiny in that regard. In early 2012 Nevada swiftly moved to legalize online poker, but it took more than a year for the infrastructure to be laid, and the actual experience to take place in the Silver State. A historical first hand was dealt at noon Eastern Standard Time on April 30, 2013 at the Ultimate Poker web site. Quick 2014 Update: Read our review of WSOP poker site which is legally available to Nevada players. Owned by Ultimate Gaming, the site became the first to officially and legally offer online poker to the residents and visitors to Nevada, and the site dealt out its 100,000th hand in a little over its first 48 hours of activity. Poker professional Antonio Esfandiari signed on with the company before that landmark event, and has long been a proponent of legalized online poker play in the United States and abroad. Nevada is wisely taking their time rolling out licenses to vendors who want to provide online poker in Nevada, and it will be some time before US-based companies offer a substantial Internet poker presence in that state. New Jersey and Delaware have also legalized online poker in those states, but have yet to officially launch an active website. The 2011 DOJ decision led many Americans to believe that online poker had finally returned to the United States, but it had never really left. And while the potential is still there for individual states to jump on board the Internet poker bandwagon in advance of any possible federal legislation, confusion surrounding the virtual Vegas activity still abounds. There have been, and are still, multiple websites which offer legal online poker to American citizens and residents such as legal vegas online poker sites, as well as players from around the world. The confusion seems to be centered around the closure of the big three poker operators back in early 2011. Millions of dollars worth of player accounts were frozen when PokerStars, Full Tilt Poker and Absolute Poker were shut down due to charges from the government of illegal banking activity. This led many online poker players to believe that they may also face prosecution, but to this date not a single online poker player has been targeted. United States federal prosecutors went after the owners of those three giant online poker sites in the United States because of their banking practices alone. American residents and travelers to the United States, whether located in Nevada, New Jersey or Delaware or any other state, can still fully participate in legal online poker. The competition for players is such that the current websites delivering legal online poker in the United States offer welcome bonuses which match a portion of your initial deposit. 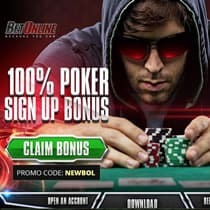 This free bonus money simply for opening an account showcases just how competitive online poker has become, and is an effort by the top online poker rooms to attract you away from one of their competitors. In other news regarding legal US online poker play, there are currently three pieces of legislation pending which would legalize online poker at the federal level.